Not the type of meter you are looking for? Please check our guides on low frequency meters (measure radiation from power lines, cables, transformers, electric devices laptops etc), high frequency meters (measure radiation from cordless phones, wireless modems (Wi-Fi), cell phone masts etc) or check the frequently asked questions about electromagnetic field meters! What do radioactivity meters measure? 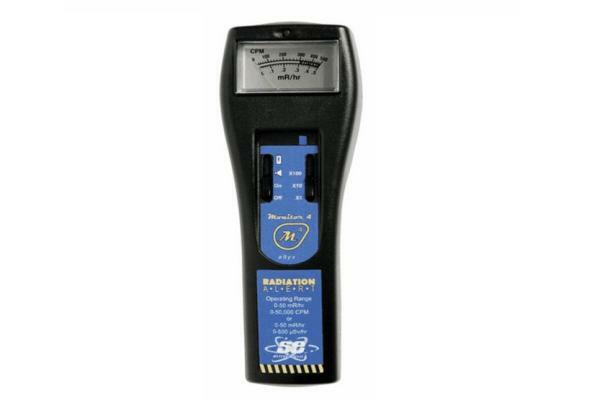 Radioactivity or ionizing radiation meters measure the radiation from radioactive materials (subsoil, food, building materials, tiles, granite counters, nuclear accidents, ionization smoke detectors, medical equipment etc.). 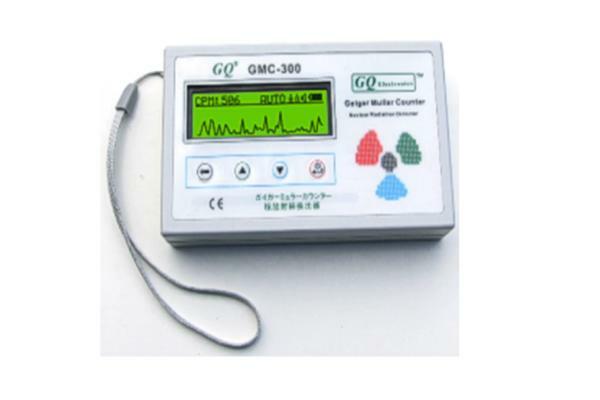 The most common radiation meters are Geiger - Muller counters, which can record most or some types of radioactivity (gamma rays, X, beta particles, alpha particles etc). For measuring the proven carcinogen radioactive radon gas (which is emitted from the soil, enters buildings by pipes and cracks and especially accumulates in low floors with inadequate ventilation), we recommend the use of radon meters, digital alpha particle counters, radon detectors or dosimeters and not Geiger counters. 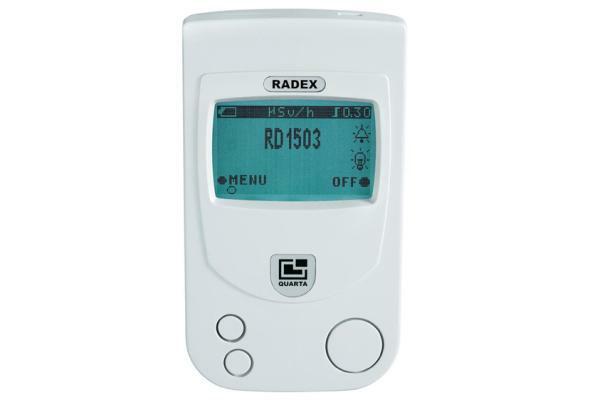 Radon gas consists mainly of alpha particles which most Geiger counters do not measure or measure inaccurately. Which are the main sources of radioactivity? Food with radioactive residues (eg vegetables, milk, meat and fish from the affected areas of radioactivity in Japan and neighboring regions - anything produced after March 12, 2011). Phosphorescent watches, pottery, ionization fire detectors etc. Waste materials from various industries, hospitals etc. So far there have been recorded more than 152 radioactive leakage incidents in nuclear plants, industrial plants, during nuclear tests etc. [UNSCEAR 2008 REPORT: VOLUME I, page 15]. In many cases of nuclear leaks and accidents, such as the Chernobyl accident, the public is informed too late, resulting in not enough time to take precautions. With a radioactivity meter can you see first every increase of radioactivity levels in your area! Each meter detects a certain portion of the radioactive spectrum. None of them can detect everything. Alpha particles: particularly dangerous when ingested through eating or inhalation (radon) through the air. They can easily be shielded even with a piece of paper. Gamma rays: electromagnetic radiation emitted during radioactive decay (along with alpha and beta radiation) - they have high penetration and can travel several meters in the air. They can be shielded with thick cement, lead, steel etc. They are a big part of terrestrial radiation. Gamma rays (along with radon gas concentrations which are better measured by radon meters, digital alpha particle counters, radon detectors or dosimeters and not radiation, radioactivity or Geiger counters), are the most important for building biology assessments. Some manufacturers also mention the energy resolution of the meter measured in kiloelectron (keV) or megaelectronvolt (MeV) = 1000keV = 1000000 eV. So beta radiation detection 0.25 –3.5 MeV means the meter can detect beta particles with energy from 0.25 up to 3.5 MeV. 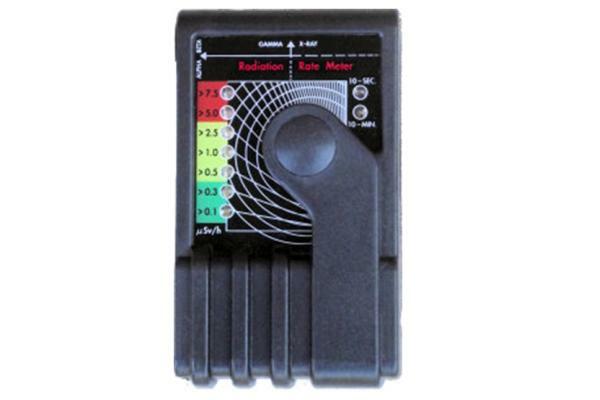 There are various types of radiation detectors which use different technology to measure radiaoactivity. Geiger-Müller Tube detectors: They use a gas filled tube with a high voltage wire which collects the ionization caused by radioactive radiation. This technology is used by the most common radioactivity detectors, called Geiger counters, which have low sensitivity and low cost. Geiger-Müller Tubes usually use detector windows with thin silicate sheets (Mica) which are relatively transparent to radiation (such as alpha particles) but impervious to most gases. Scintillation Counters: They use crystals that generate light when they interact with radiation. They offer more accurate measurements but are pricey. Other types: Silicon detectors, Neutron detectors, Semiconductor detectors etc. The active equivalent dose (in Sv-Sivert), measures the effect of radiation on the human body since it takes into account the type of activity (e.g., beta particles, gamma radiation, X, etc.) and the absorbtion by the human body. Other radiation dose unit used is the rem where 1 rem = 0,01 Sv or 1 Sv = 100 rem. Most radioactivity meters record the effective dose rate of radioactivity, usually measured in μSv / h or uSv/h (micro sivert per hour) or mR/hr (milli rem per hour) = 1000μR/hr = 10μSv/h. Some meters also measure CPM (counts per minute) which is the number of atoms in a given quantity of radioactive material that are detected to have decayed in one minute. Count rate measurements are normally associated with the detection of particles, such as alpha particles and beta particles. 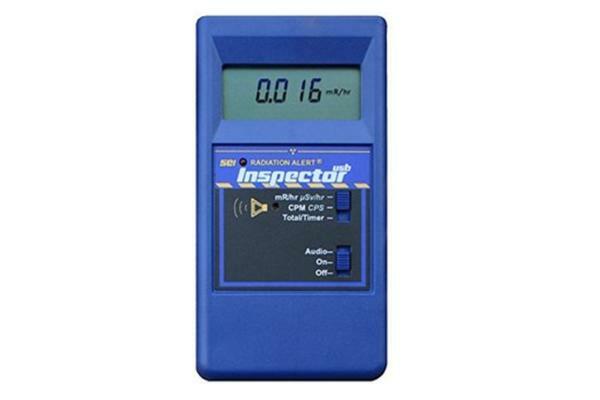 We recommend the radiation detector can measure at least from 0.1 μSv / h = 10 μR/hr = 0,01 mR/hr (natural background radioactivity levels) up to 10 μSv/h = 1000μR/hr = 1mR/hr (recommended safety limit for occupational exposure levels). Measuring up to 100 μSv/h = 10000μR/hr = 10mR/hr is not necessary, unless you need to measure very high levels of radiation. Normal radioactivity values in the environment are <0.3 mSv / h (eg 0.13 μSv/h is the world average exposure to natural sources of radiation - except for radon [UNSCEAR, the United Nations Scientific Committee on the Effects of Atomic Radiation, www.unscear.org/unscear/en/faq.html] and values greater than 0.4 μSv/h trigger radiation alarm in Finland). The US Nuclear Regulatory Commission (NRC) identifies as high radiation areas in nuclear power stations after a nuclear accident when we exceed 1000 μSv/h [Wikipedia, Orders of magnitude (radiation)]. Multiplying the dose rate with the total exposure duration we can specify the total radiation dose for a time period. 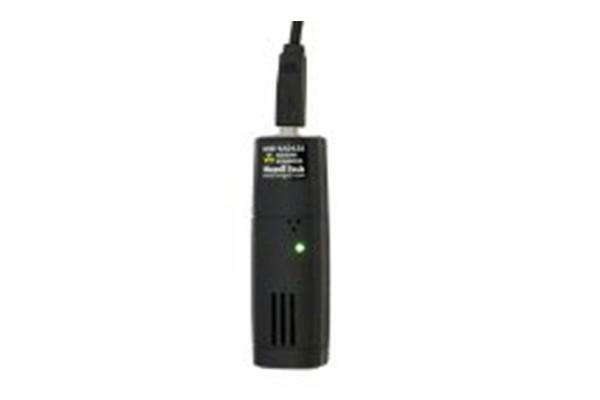 Some meters offer the possibility to store the measurements and then download through a PC.  We personally think this feature is not important for most users. Having audio signal which increases volume according to the radiation value, is helpful for finding radiation. 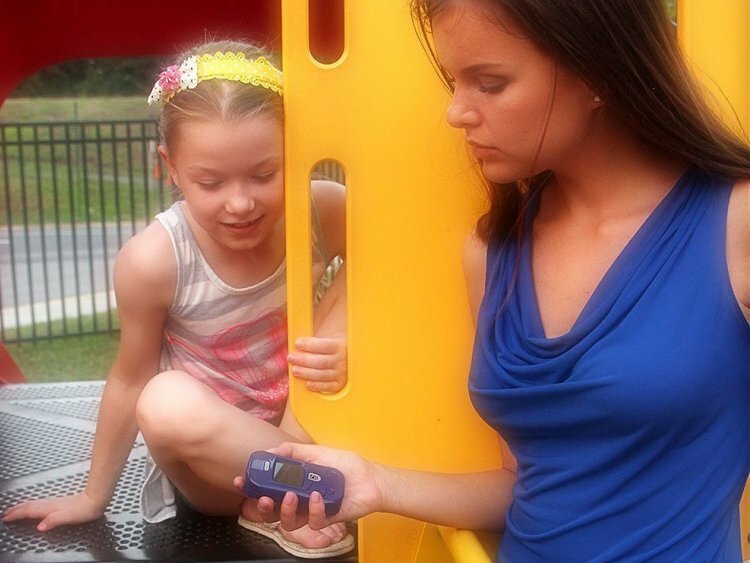 Audio alarm is helpful for finding radiation hotspots but not necessary when you have audio signal. Some meters also allow you to set the alarm threshold.